Tag Archives for " The Convenience Revolution "
John Jantsch: How would you like to disrupt your entire industry, disrupt your competition? Well, it’s possible, and today, the way that you do it is that you are just easier to do business with, you’re more convenient. In this episode of the Duct Tape Marketing Podcast, I visit with Shep Hyken, and we talk about the convenience revolution. Sure, we talk about Amazon and Uber and these companies you all know, but we also talk about a very specific point of view that every small business owner can take to make their business more convenient. Check it out. Stuff like payroll and benefits are hard. That’s why I switched to Gusto, and to help support the show, Gusto is offering our listeners an exclusive limited-time deal. You sign up for their payroll service today, you’ll get three months free once you run your first payroll. Just go to gusto.com/tape. Hello, and welcome to another episode of the Duct Tape Marketing Podcast. This is John Jantsch. 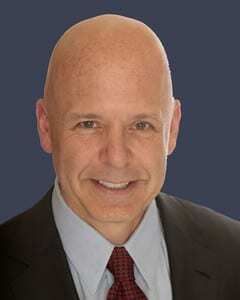 My guest today is Shep Hyken. He is a best-selling author and the Chief Amazement Officer at Shepard Presentations. He’s also the author of an upcoming book called The Convenience Revolution: How to Deliver a Customer Service Experience That Disrupts the Competition and Creates Fierce Loyalty. Shep, thanks for joining me. Shep Hyken: Hey, man. It’s great to be here, John. Thanks so much for having me. John Jantsch: Well, I can’t believe this a first time I’ve had you on. You’re a fellow Missourian, and you’ve been doing this as long as I have, so I’m glad to finally get you on. Shep Hyken: Well, thanks. We’ve got a lot to talk about, and I love what you do. I remember your book when it first came out. Highlight, that was the book of the year, the Duct Tape Marketing. John Jantsch: Thank you for saying so, and thank you especially for saying so as I’m recording. Why convenience as a revolution? I mean, it seems like, hasn’t convenience always been a good idea in business? Today, customers are smarter, and they demand that service, and guess what? Companies are starting to get smarter, and they’re starting to deliver a better level of service. Usually, that service is translated into soft skills, customer service training, which, by the way, still it’s imperative that every company do this, and they keep doing it for all the obvious reasons because you can’t slow down in the area, but the people have to be good, they have to be knowledgeable, they have to be helpful, they have to be engaging. If everybody does that, what else can you do? Figure out a way to be easier to do business with, and that’s where the word convenience comes into play. I’m going to ask you a question if that’s okay. What … By the way, you can answer right or wrong, I’ll tell you you’re right no matter what because you’re the host of the show, but what would you say the most convenient and easy-to-do business company on the planet is today? John Jantsch: I would say is not Budget Rent a Car. Sorry, my own personal bias there, but I think probably most people would say Amazon. Shep Hyken: Exactly. That is the correct answer. Thanks for playing the game. I identified six different areas of convenience, different obvious areas that companies have excelled in, and Amazon excels in all six of these areas. By the way, there’s a number of companies that do, but boy, what I love about Amazon is from the very, very beginning, their goal is to be so customer-focused, and they disrupted that book industry pretty well with saying, “Hey, we’re going to offer you a broader selection, even at a lower place,” because a lot of times, convenience comes with a higher price so people are willing to pay for it. Amazon offered it at a lower price, and that is “buy your books here, and by the way, bigger selection, and we’ll deliver the books.” You don’t even need to leave your home. You can do it from sitting in your office or sitting in front of your computer. That’s what they’ve done. By the way, today, while they still have good prices, they’re not always the lowest prices, and they even put right there on their website, “You can find us at a lower price with one of our other,” what they call third-party for buyers or merchandisers, and these are just companies that use the Amazon system, and guess what, people still want to buy from Amazon just because of all that they offer, but Amazon offers convenience, they offer high technology from the standpoint of they use technology that drive a better experience, they deliver, they’re accessible 24/7, they’ve got great customer support. A lot of it’s self-service, but when you need their help, they call you. It’s amazing. I can go on and on about Amazon, but you’ve guessed it. They are the most convenient company on the planet. John Jantsch: Well, and I take a lot of companies that have embraced this idea have looked at, in some cases, outdated business models. I mean, like the taxi sort of was an outdated business model, and Uber I think completely disrupt that by making it more about the user than about the taxi. CarMax is another great one I like to cite because buying and selling a car through CarMax completely changed I think the automobile industry, and I think that that’s what’s interesting is, and you even have it in the title, don’t you? Yeah, disrupt the competition, and I think that people that are actively strategically trying to figure out how can we reduce friction, how can we use technology not as a barrier but as an enabler. They are disrupting industries, aren’t they? Well, with Uber, you know how it works. You open up the app, you can see where all the drivers are. You put in the address where you’re going. It tells you how long it will be before they get there. You can watch them driving down the streets by looking at the screen on your phone, and then they get there, they know where you’re going, they even know who you are, and when you get out the car, you don’t even need to pay for it at that moment. You don’t really reach in your pocket, pull out a credit card or dollar bills. No. They just automatically charge you because you’re in the system. What they did is used technology, but really, they looked at the whole concept of reducing friction. Another technology company, I use PayPal as a lead example for the technology segment. They figured out how to get money transferred from here to there real fast and real easy. Once you’re in the system and you understand how to do it, I can send money to you, John, in under 45 seconds if I have your email address. That’s all I need, and it’s done. That’s using technology to make an easy and convenient service experience. John Jantsch: A lot of my listeners are small business owners, and sometimes, even though the application’s the same, we start talking about Uber and Amazon, and they’re like, “Well, that’s not me,” but when you talk about reducing friction, I mean, your form’s easier to fill out on your website, being able to schedule an appointment, those are ways that I think even the smallest of companies can actually start looking at this idea, can’t they? Shep Hyken: Exactly, and as an individual, you can say, “Hey, I’ll call you. You don’t have to call me. I’ll come to you if it’s a local business. You come to me.” One of the lead, well, actually, it’s a lead case study in the concept of delivery. Amazon delivers. Well, so does my local car dealer. I wouldn’t call them a small sole entrepreneur business. They probably have 40 or 50 employees, but they’ve got a half a dozen sales people, 10 sales people, they’ve got their mechanics, but here’s what happened. After 24 years of dealing with a particular dealership who I was not unhappy with … They were about a mile or so from my office. I’d drop my car off. Sometimes they had a loaner for me. If they didn’t, they might give me a ride, or I could just walk to work. I went back to my original dealership, and they wouldn’t offer the same services. Guess what? They made it more convenient for me at this new dealership, Kirkwood Audi, and I switched. It’s been about seven or eight years. I’m getting ready to buy my third car from them. John Jantsch: If somebody’s listening, and they think, “Okay, yeah, this sounds good, but I’m pretty close to my business, and I think I’m doing a good job with it,” I mean, do you ever advise people on where they might look for clues to find ways that, maybe they don’t want to disrupt, they just want to make a better service, more loyal customers. What are places to start unearthing some of these innovations? Another question I’d ask my customers is, is there one thing you can think of that would make doing business with me better, because if I know what the one thing, and they’re already happy with me, but if I know there’s one thing I can do better and several customers say that same one thing, I’ve got an opportunity to improve on greatness. John Jantsch: I think it’s tough, though, sometimes because I’m sure that somebody standing on a corner of New York City waiting for a taxi didn’t think, “I sure wish I had an app that showed me where this car was coming … ” I think it’s, a lot of times, it’s very hard for our customers to tell us how to do better because maybe everybody, that’s how everybody does it. I think sometimes you have to look outside your industry and things like to look for ways that other people are disrupting. Shep Hyken: That’s why in the book, under each of the six different areas of convenience, I’ve given you at least five different case study story-type scenarios so you can choose from small businesses, and even I have a whole chapter there on how an individual can be more convenient, which we already talked about, but by looking at all these stories you’ll understand. I mean, that’s convenience, it’s reminders, and it’s steady ongoing business. The subscription model, by the way, is a huge opportunity for small businesses. It’s great ongoing reoccurring income, and big businesses. Look what the guy did with the razor blades, The Dollar Shave Club, which I’m a member of. I love that club. That’s one of the cool clubs I’m a member of. Every month, I gave my shaving, my blades and my shaving cream and everything else. The lead case study I use for that is Netflix because that’s a cool subscription service, and they disrupted the industry. They disrupted their direct competitor, but again, small businesses, big businesses, a bunch of different ideas, and then you can start to think the way they think and incorporate that into what you do. John Jantsch: You can do services, I don’t know, a tree service. I know I’m going to need my trees trimmed every fall or something like that, set it up as a recurring service. I don’t even have to think about it. I think there’s so many people that want that convenience. Shep Hyken: Yeah, it’s getting them to agree to a steady, ongoing, that’s a subscription. Hey, you subscriber, the tree service. I’m getting ready to do a speech this weekend coming up for a company called Pet Butler. You know what they do? They scoop poop. That’s the truth. They go into people’s lawns, and they look for it, and they clean it up. I thought, “Wow, this is a great business.” It’s ongoing. It’s every week. They stop by, and they do it, and in a sense, that is a subscription type of a service experience. People are paying by the month or they pay by the year for an annual contract, and now it’s my job as a provider to give them what they want, which is a weekly or monthly or even daily in some cases services that different companies might offer. John Jantsch: I will tell you, a lot of older generation would think, “Get out there and pick up that poop yourself, you lazy bum,” but the millennials expect this convenience. I look at my kids, and I mean, if your website doesn’t work right, if your app doesn’t allow them to schedule the way they want to, forget it. They’re out of there. I mean, they demand it. Shep Hyken: True story. When we first announced the book was coming out, we still have a prepublication promotion, one of my friends called and said, “Hey, you know what? You’re not really very convenient.” I go, “What are you talking about?” He says, “I went on. I tried to pay with PayPal, and it didn’t auto populate the name and address and all that.” I go, “I didn’t know that I could do that with that. Thank you for bringing that to my attention.” Then he says, “So I went and bought it in Amazon for the pre-pub,” and I go, “Okay, well … ” He didn’t get the bonus I, everybody gets an ebook, the actual ebook of the book when they buy it in advance, but I sent it to him anyway because that’s just the kind of customer service guy I am. But more important, I looked into that, and unfortunately, and I’m really bummed because my shopping cart system doesn’t allow that to work that way. I’m still researching to see if there’s a plugin that I could use with it, but that was an example. The guy said, “Hey, if you’re going to be convenient, practice what you preach.” You know what, sometimes, we can just do what we can do, but we do our very best, and hopefully most of our customers recognize that. John Jantsch: But I think you made a good point that really at the very beginning, if somebody is used to that, and it does auto-populate, and it does remember them and all that kind of thing, that just raises the bar, doesn’t it? I mean, because now we want that everywhere. Shep Hyken: Right, and that’s the point I said, that customers no longer compare you to the direct competition, but they compare you to the great service they had from anywhere else. John Jantsch: Wouldn’t it be great if, in your business, all you had to do was the stuff you love, the reason you started the business, and not all that administrative stuff like payroll and benefits. That stuff’s hard, especially when you’re a small business. Now, I’ve been delegating my payroll for years to one of those big corporate companies, and I always felt like a little tiny fish, but now there is a much better way. I’ve switched over to Gusto, and it is making payroll and benefits and HR easy for the modern business. You no longer have to be a big company to get great technology, great benefits, and great service to take care of your team. To help support the show, Gusto is offering our listeners an exclusive limited-time deal. If you sign up today, you’ll get three months free once you run your first payroll. Just go to gusto.com/tape. Shep, tell people, you’ve been mentioning, dancing around this promotion for the book. Flat out tell us where they can get this promotion and how they can get that free ebook. Depending upon when they’re listening to this show, perhaps in advance of the actual book. Shep Hyken: Sure. If you’re listening to this in advance of October 2nd when the book comes out, just go to beconvenient.com, and you can order the book there. When you do, you will get an instant, an email back, which has a link to the ebook, which is the same ebook that Amazon is going to be selling for 19.95. At least that’s what the price is right now. You get that today, and you get it for free. So you, in effect, even though you bought the book and it won’t come out until October, you’re able to read it today. Even if you buy it through Amazon, let me know, and I’ll be happy to send you the ebook. John Jantsch: Tell us where they can find out more about you as well, so. Shep Hyken: Sure, I mean, you can go to Be Convenient because that’s actually on my website, or just go to hyken.com, H-Y-K-E-N.
Shep Hyken: I look forward to it. You’re in Kansas City. I’m in St. Louis. We might have to do a home and home baseball game. John Jantsch: Yeah. It’s been a rough year. Cardinals haven’t exactly lit it up either, have they? Shep Hyken: I know. I think we’re in the same place. John Jantsch: We’ll be back. There’s always hope. Shep Hyken: Okay. Hey, it’s history. We just have to look forward at this point. John Jantsch: That’s right. Shep, thanks so much. Shep Hyken: Thanks for having me on the show. This week on the Duct Tape Marketing Podcast, I chat with Shep Hyken. He is the Chief Amazement Officer of Shepard Presentations and the author of the upcoming book The Convenience Revolution: How to Deliver a Customer Service Experience That Disrupts the Competition and Creates Fierce Loyalty. Hyken’s previous books have been New York Times and Washington Post bestsellers. He is also a prolific speaker, having been inducted into the National Speakers Association Hall of Fame for lifetime achievement in the speaking profession. Hyken works with companies to revolutionize their approach to customer service and to help them build loyalty and longstanding relationships with their clients. In this episode, Hyken details the ways in which becoming the company that is most convenient to do business with can help you stand out from the competition and create lifelong customers. Why convenience as a revolution? Hasn’t convenience always been a good idea? How can a small business owner apply the friction reduction principles used by a giant company, like Amazon, to strengthen their company? Where can small business owners begin to look for places to unearth the potential for innovation? This episode of the Duct Tape Marketing Podcast is brought to you by Gusto! Payroll and benefits are hard. Especially when you’re a small business. Gusto is making payroll, benefits, and HR easy for modern small businesses. You no longer have to be a big company to get great technology, great benefits, and great service to take care of your team. To help support the show, Gusto is offering our listeners an exclusive, limited-time deal. Sign up today, and you’ll get 3 months free once you run your first payroll. Just go to Gusto.com/TAPE.